It’s been speculated before that Apple will eventually transition its entire range of devices, from iPhone, to iPad, MacBook and more, away from their rapidly-aging liquid crystal display (LCD) technology to the far more advanced and chromatically pleasing organic light emitting diode (OLED). Back in 2017, Apple made headlines when it introduced the first iPhone boasting an OLED display. And while Apple’s wasn’t the first smartphone flagship to market featuring the next-generation display tech, the company’s custom Super Retina AMOLED display built by Samsung Display has been highly rated against its closest competition. iPhone X was just one of three new iPhone models introduced last fall, joining the LCD-equipped iPhone 8 and 8 Plus. Within the coming months, Apple is once again expected to release a trio of new iPhone models — two of which are slated to feature Super Retina OLED displays, while one is expected to retain LCD technology. Continuing with its apparent phase-out trend, a new report published this week corroborates the original claims that Apple will transition to a 100 percent OLED iPhone lineup by 2019, as cited by multiple supply-chain sources. Specifically, Reuters cites industry sources quoted in a report from South Korea’s Electronic Times as the basis for their speculation over Apple’s looming transition to OLED. Of course, while the report itself cites little more than supply-chain level speculation, it’s certainly worth noting how far the news sent shockwaves through Far East trading markets on Tuesday. Reuters noted for example that shares of long-time Apple LCD supplier, Japan Display, dropped 10 percent on the news of Cupertino’s looming LCD phase-out. 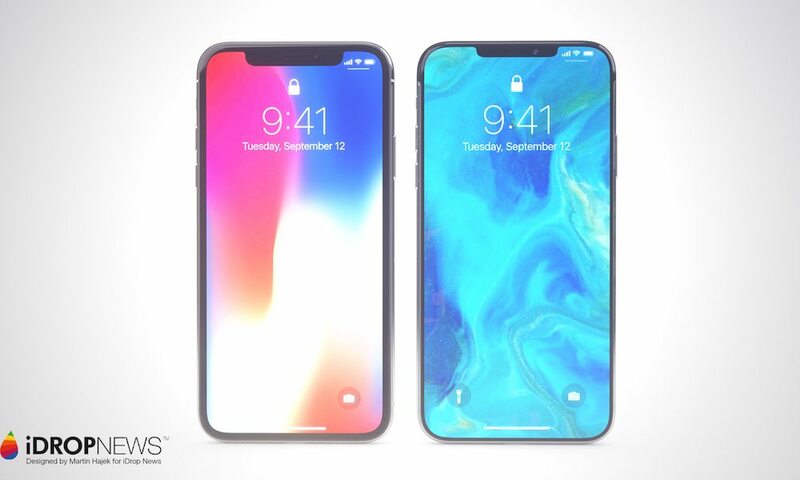 All reports considered, it looks like Apple’s complete transition to OLED iPhones is well underway, with no signs of slowing down as we head into the second-generation of iPhone X-inspired flagships. It’s possible that Apple will always retain an LCD offering such as the iPhone SE or iPhone SE 2, but the fact of the matter is OLED is simply a superior display technology. In fact, OLED has even been rumored to arrive on larger devices like iPad and MacBook perhaps within the coming years, and that should forever change the way we view digital content for the better.